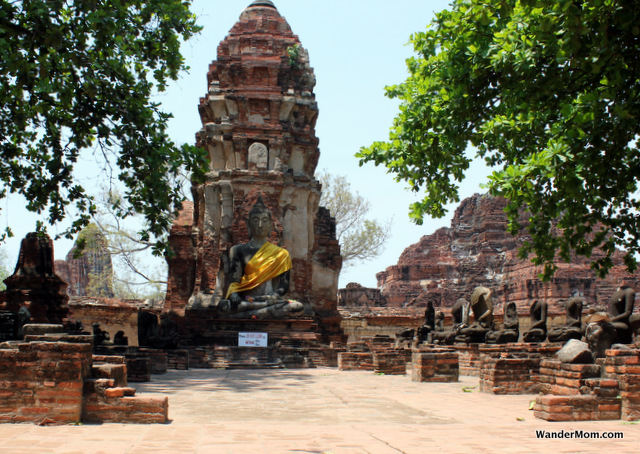 Most people visit Ayutthaya Thailand because it was an ancient capital of the Kingdom of Siam. It’s extremely pretty and historically significant enough to credit the UNESCO World Heritage Site honor it earned in 1991. We went there to kill three days while waiting for our Chinese visas to be processed at the embassy in Bangkok. 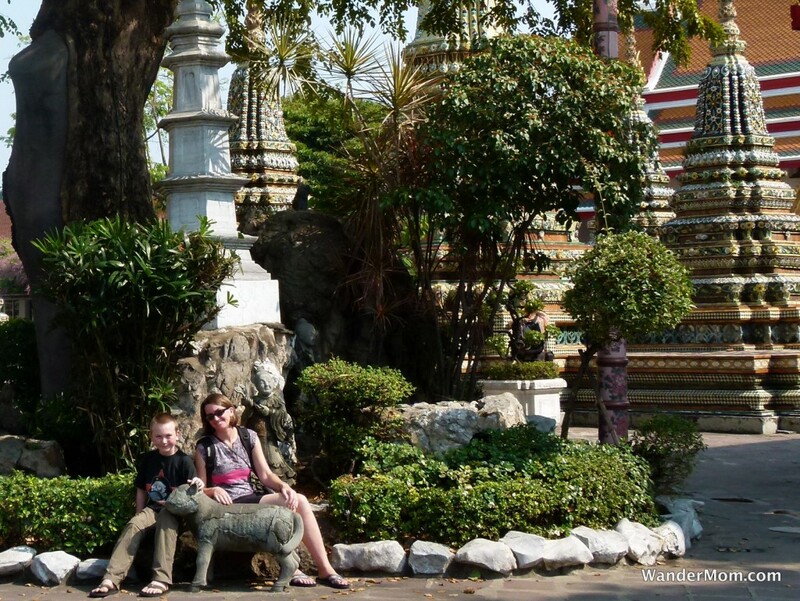 By the time we got to Ayutthaya my kids were wat-ed out. In fairness, we were at the end of an eight week tour of South East Asia and they had had their fill of temples and ruins and then some. That said, as any respectable parent knows, expecting two children to sit quietly in a hotel room for three days is asking the impossible so I proposed a walk. I believe I said: “C’mon, let’s go explore the ruins, it’ll be fun”. Judging by their reaction, you’d have thought I said: “C’mon, let’s go replace all your fillings”. I won’t paint a picture of what happened next, you’ve been there, it’s not fun. “Let’s go check out that Boat Museum”. The brothers Murphy, possibly figuring that boats had to be at least marginally better than wats, agreed. 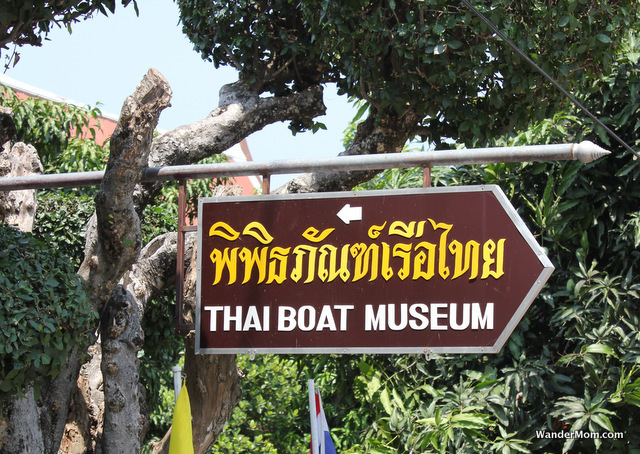 I haven’t found a mention of this Boat Museum in any guide book. Finding and visiting it was the very definition of being sidetracked by kids while traveling. 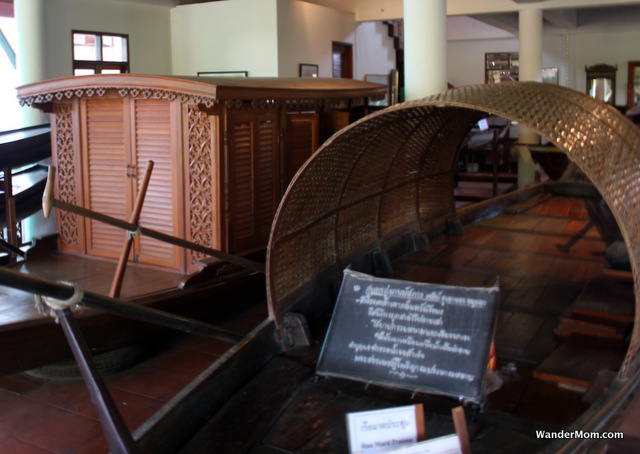 The museum takes up most of the floor space of this master carver’s home. The boats themselves are works of art, the dioramas help describe more clearly the different boat types and their uses. 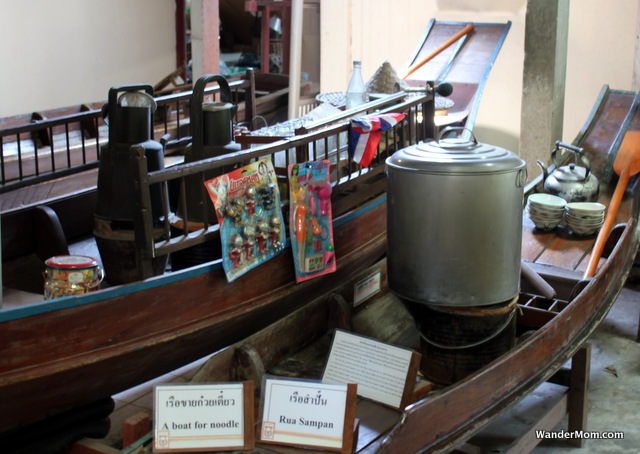 This entry was posted in Thailand and tagged Ayutthaya, Thailand on January 28, 2013 by wandermom. This is what a crowded backpacker bus in Thailand looks like. 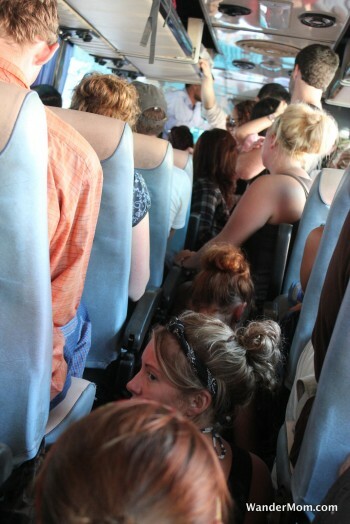 Every seat filled with people standing and sitting all down the aisle. If you think that’s not safe, consider also that the backpacks belonging to the extra passengers were piled up behind the driver, blocking the entrance and there was no air-conditioning. 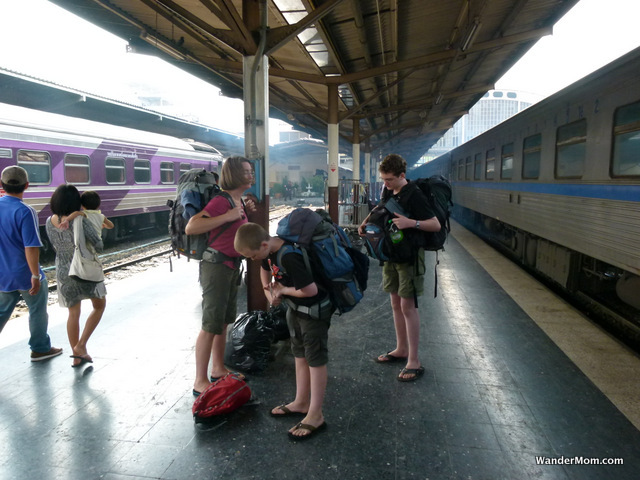 Altogether not ideal but certainly not unusual for backpacker travel in South East Asia. 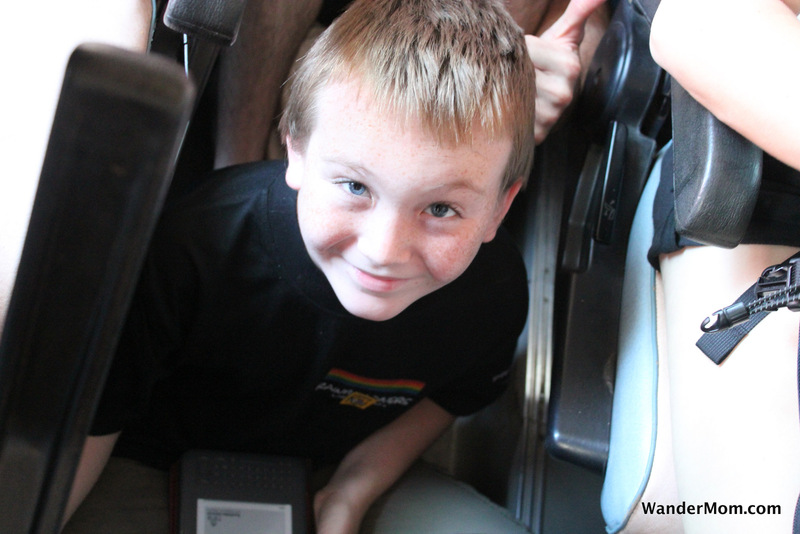 Surprisingly even with a few grumbles about over-crowding the mood on this bus was cheerful and friendly. I guess everyone was focusing on the destination: beautiful beaches on the islands in the Gulf of Thailand. Everyone, that is, except one American girl. She and her three friends were among the unfortunates who boarded the bus last and ended up sitting in the aisle. As the bus pulled away from the stop, when all of the aisle-seaters were arranging themselves as comfortably as they could, she started to panic. She became agitated: “I can’t do this. I can’t do this. This is claustrophobic” . Honestly I was afraid she would become hysterical which would have been unfortunate for her but also possibly dangerous to the people around her – including my two children who, at this time, were calmly sitting (on seats) reading their books. As this girl became more upset no-one moved to help her. To me this was an interesting sociological scenario. Ideally, I’d support the Good Samaritan principle: help others when you’re not obligated to do so. However, in this case all the budget travelers on this bus had been equally swindled. This journey wasn’t going to be comfortable for anyone. So, here’s my question to you: What do you think? Am I being too harsh on this girl? Was BigB’s charity appropriate? What would you have done? 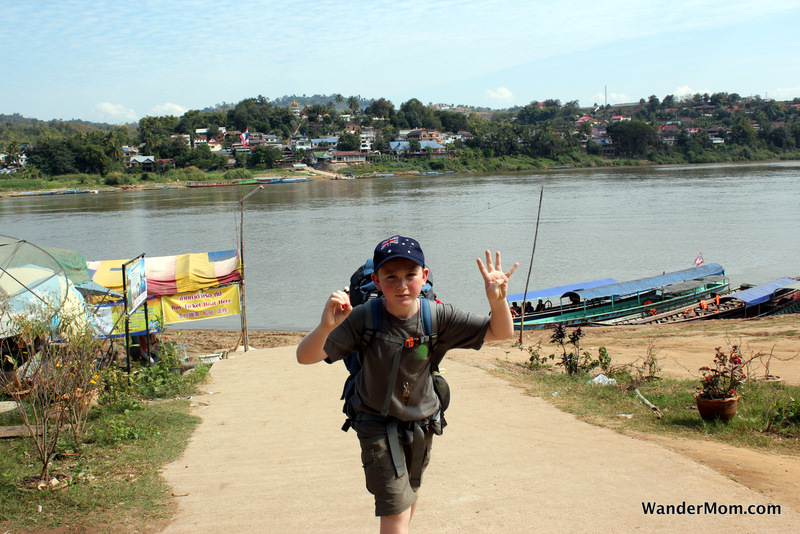 This entry was posted in Thailand and tagged Surat Thani, Thailand on March 26, 2012 by wandermom. 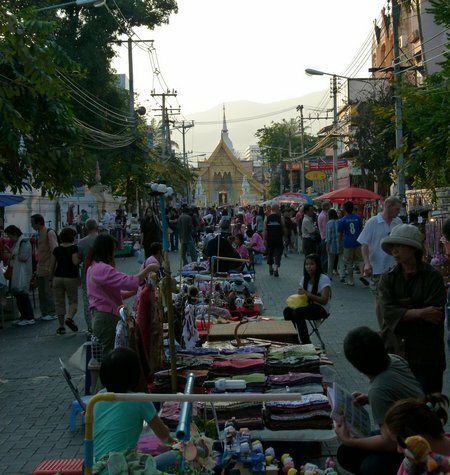 Our five days in Chiang Mai were some of the most enjoyable on our trip so far. 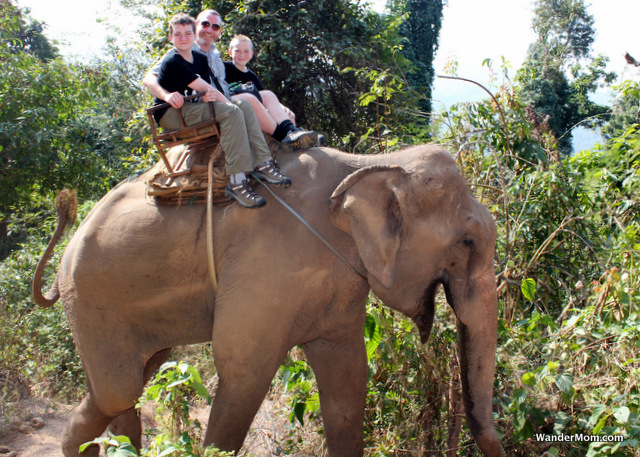 We rode elephants, went bamboo rafting, did a bicycle tour of Chiang Mai and spent a day learning to cook Thai food. On our bus out of Chiang Mai I was daydreaming, thinking about how much fun we’d had while updating my notebook where I keep track of our spending. When I totted up what we’d spent in Chiang Mai I checked and re-checked my numbers and verified the amounts with my husband because the low total was such a surprise. The breakdown of our spending over those five days is pretty simple. Our 4-bed dorm room at the Green Tulip hostel was 800 baht (~$28) per night. We ate breakfast daily at the hostel for 400 baht (~$14) each morning. Typically we ate lunch at a local cafe – cheap, tasty Thai food for about 500 baht (~$16) for a simple meal each. However, we only bought lunch on two days since lunch was included as part of the days’ activities on the other days so the average daily lunch cost was 200 baht (~$6). Dinner was “street food” from vendors along the street outside our hostel or at the night-time food market near the center of Chiang Mai for the super-economic price of about 450 baht (~$15). All meals included at least one drink (soda, water or beer) each. If you total all that up, the resulting daily costs for food and accommodation for a family of four (including one continually hungry teenage boy) for five days in Chiang Mai comes in at 1850 baht (~$61). 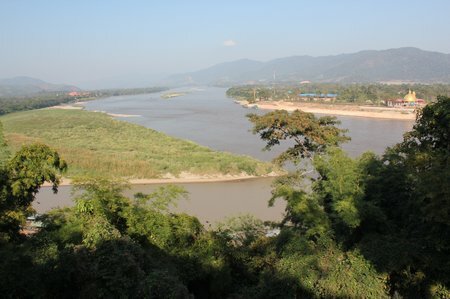 – A one-day “trek” including elephant riding, a 2-hour hike, a visit to Hmong and Karen villages – with explanations about these communities from a Karen guide – and a leisurely couple of hours bamboo rafting. 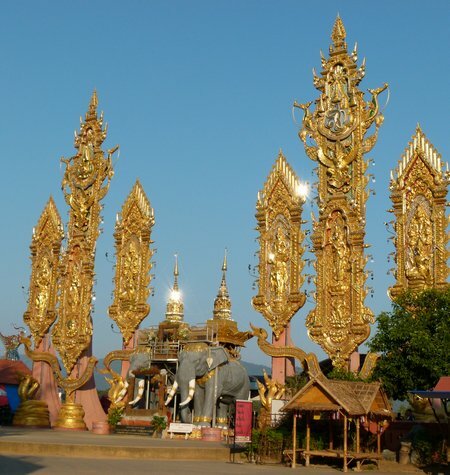 – A half-day cycle tour of Chiang Mai with Bangkok Biking. 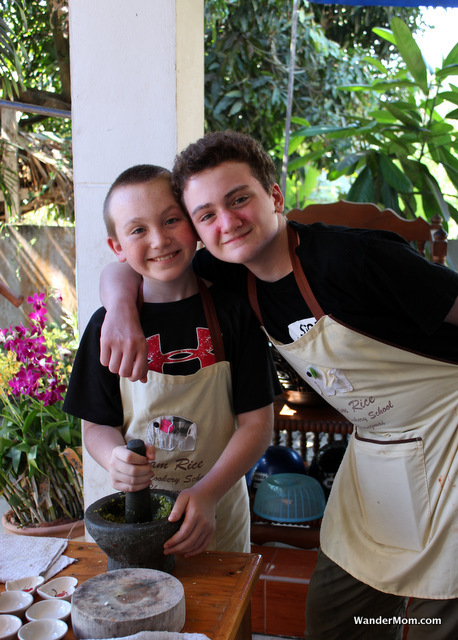 – A full day at the Siam Rice Cooking School learning how to cook some yummy Thai dishes. 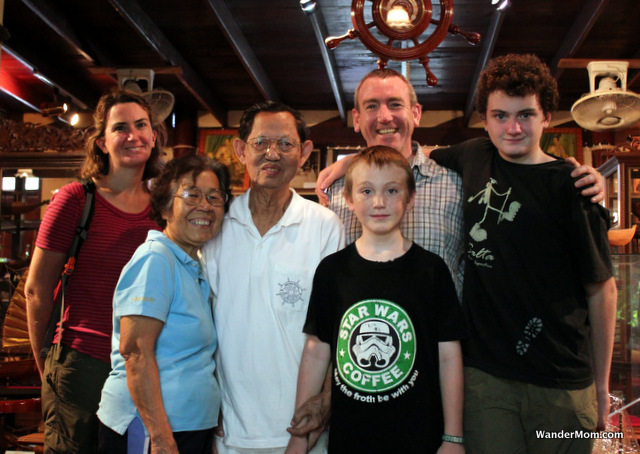 The final tally of food, accommodation and activities for a family of four for an excellent five days in Chiang Mai was: 18,450 baht or approximately $600. 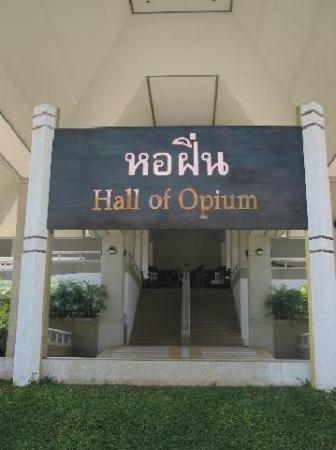 As I said, we had a truly enjoyable few days in Chiang Mai. Nine and Stella, the managers of the Green Tulip were excellent hosts. 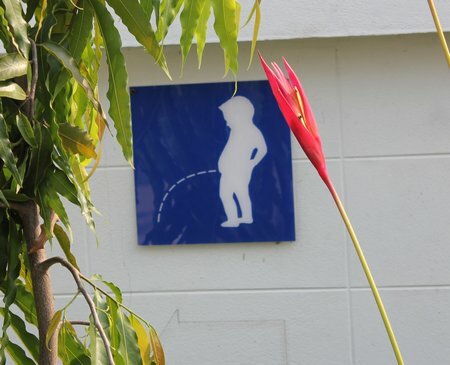 Their hostel is spotlessly clean with spacious rooms and a friendly, welcoming atmosphere. Meeting the GotPassport (and TeamCM) folks in person at the Sunday Night Market was a special treat for me. We were impressed by the professionalism and quality of service of all of the activity vendors that we interacted with and their guides, it really did feel as if Nine had introduced us to a bunch of locals who she trusted to show us around. 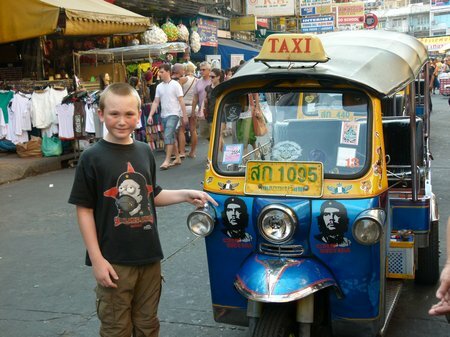 If Thailand is on your family’s bucket list, it’s absolutely worth the effort to include Chiang Mai on your itinerary. 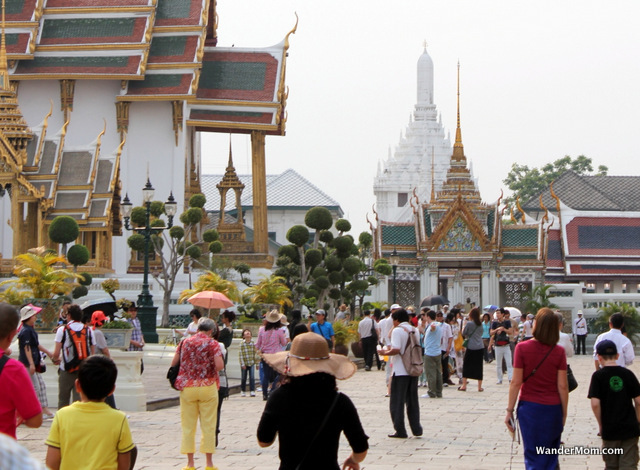 This entry was posted in International Escapades, Thailand and tagged Chiang Mai, Thailand on February 2, 2011 by wandermom.